The Biological Safety program is designed to maintain safe conditions in biological research and prevent harm to humans, animals and the environment. Safe biological research includes appropriate facilities and equipment, adequate training, proper laboratory practices and safe working conditions. Biological safety helps protect the UW community of students, faculty, staff and visitors. It also helps maintain our academic excellence and integrity and ensure research funds from the National Institutes of Health (NIH) and other funding sources. Good biological safety practices protect the environment from release of potentially harmful agents. The Biological Safety program includes oversight for compliance and safety, training and outreach, institutional support for incident response, building design, and collaboration with UW committees such as the Institutional Animal Care and Use Committee (IACUC) and Institutional Review Board (IRB). You can find detailed information about biosafety in the UW Biosafety Manual including biosafety policies and safe work practices. If you are working with biohazards, be sure that an electronic link or paper copy of the UW Biosafety Manual is available in the laboratory. 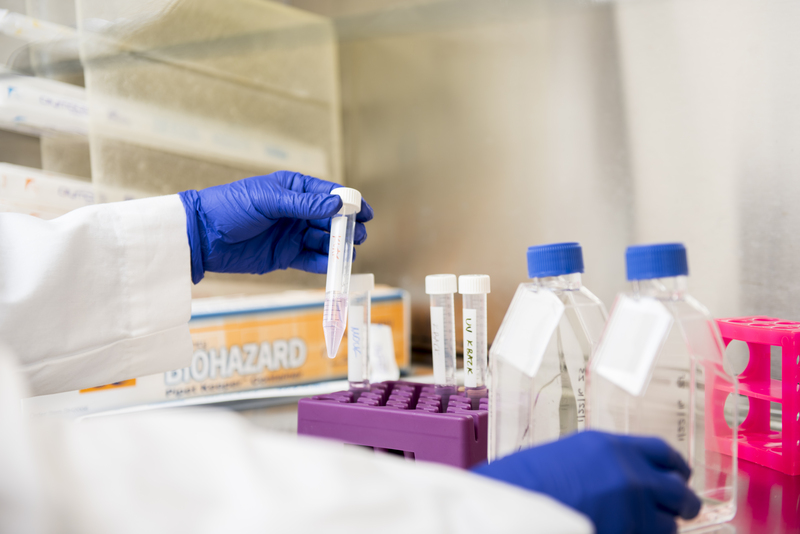 The Biological Safety program and the Institutional Biosafety Committee (IBC) oversee and approve research involving biohazards and procedures for procurement, use, storage, transportation and disposal of biohazardous material. See Biological Research Approval for more information. Each Principal Investigator (PI) is responsible for performing a risk assessment of his or her work to identify hazards. The risk assessment helps determine which biohazard containment and laboratory practices are appropriate. See Biological Risk Assessment for more information, including Risk Groups and Biological Safety Levels. Biological safety cabinets (BSCs) are used to protect personnel, products and the environment from exposure to biohazards and cross contamination. Knowing how to work safely in a BSC is key. To learn more about safe practices and how BSCs work, watch this video from the National Institutes of Health (NIH). For more information about BSCs, see Biological Safety Cabinets. Decontamination eliminates microbial contamination or reduces it to a safe level. The Biosafety Manual details procedures for decontamination in Section 4.E. The U.S. Environmental Protection Agency (EPA) maintains a list of registered antimicrobial products that are effective against certain organisms. If you need help selecting an appropriate disinfectant, you can contact the Biological Safety program at ehsbio@uw.edu or 206.221.7770. See Biohazardous Waste for information on autoclaves and how to handle biohazardous waste at UW. We strongly encourage laboratories to foster safe biological practices at all times. To learn about promoting biosafety, see Biosafety Stewardship. October is National Biosafety Month. Stay tuned for information on how you can get involved. If a spill of biohazardous material or recombinant DNA occurs, follow the Biohazardous Spill clean-up instructions. Print these instructions out and keep them in your Biohazardous Spill Kit. If any person is exposed during the spill, follow the instructions on the Exposure Response Poster. Affix a biohazard warning label to any storage, transport, or waste container used for biohazards. The biohazard warning sign restricts laboratory access during work with biohazards, communicates the agents in use, and specifies entry and exit requirements. It is the responsibility of the Principal Investigator or supervisor to properly identify and restrict access to the laboratory and to notify emergency and support personnel of any hazards in the laboratory. For instructions on how to download and use the sign, see Biohazard Warning Sign. Be sure any research with biohazards is approved by the IBC. Apply for Biological Use Authorization (BUA) for any work involving biohazards, including recombinant or synthetic DNA/RNA. Follow all of the biosafety containment practices, procedures and additional guidance as specified in your BUA letter and during biosafety lab inspections. Be familiar with biohazardous spill clean-up procedures. Use safe practices when working inside a biological safety cabinet. Watch this video from the NIH to learn more. EH&S biosafety officers can assist with training, consultation and help with any biosafety questions. Where can I get biohazard stickers? You can get them from laboratory supply vendors. Or we can send you a few via campus mail. Email us at ehsbio@uw.edu to request stickers. I'm relocating or closing down my lab. What do I need to do? I have equipment or items from a biological laboratory that need to be sent to surplus. What do I need to do? Follow the decontamination instructions on the Notice of Laboratory Equipment Decontamination Form. Surplus will require that you decontaminate equipment/items and attach the form. Is it possible to recycle plastic items from my biological laboratory? I'd like to reduce landfill waste. You cannot recycle anything that contained biohazards (including recombinant DNA), hazardous chemical residues or radioactive materials. You also cannot recycle items that could puncture plastic bags, such as pipets and pipet tips. According to UW Recycling, only items that are standard recyclables (e.g., paper, cardboard, metal, glass, and plastic food containers) can be recycled at this time.